While everyone is thrilled to have the rockhopper and African penguins back in the building, behind the scenes it is little blue penguin breeding season! Over the coming weeks we'll share behind-the-scenes pictures and details about what it takes to raise penguins chicks on Central Wharf. 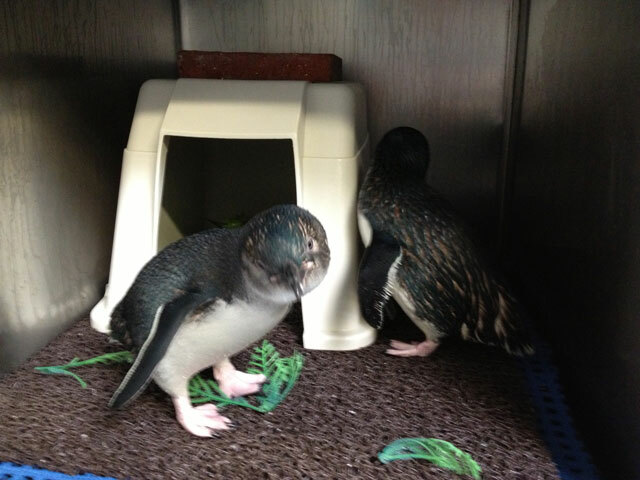 Like our African penguins, our little blue penguins are part of a Species Survival Plan, or SSP. Essentially the SSP makes breeding recommendations. The genealogy of each individual animal is known and is kept in a studbook. 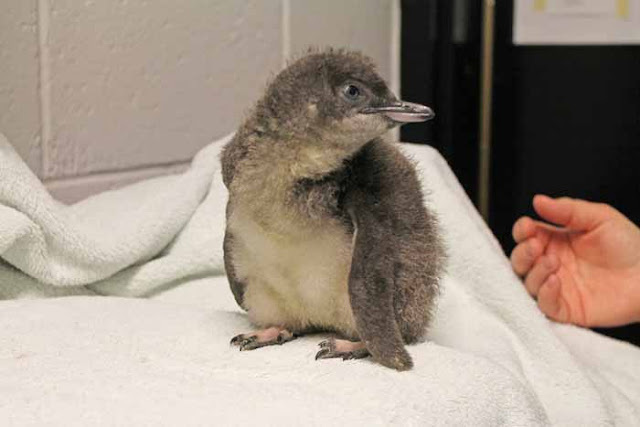 Heather is the species manager of the North American little blue penguin population studbook, so she will communicate with other institutions that have little blue penguins and keep track of any additions or subtractions to their colonies. Then this information is plugged into a specific program which ranks the birds based on their genetic value and breeding recommendations are made. 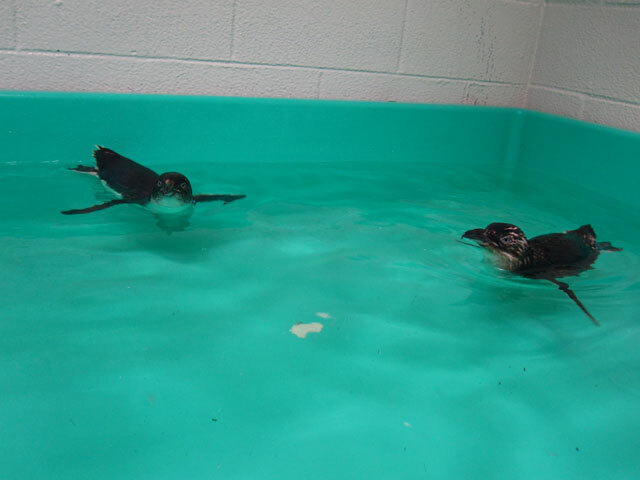 With the newly acquired little blue penguins we were very excited that we now have four new SSP approved breeding pairs, each pair consists of one of our original penguins and one of the new penguins. These birds had never seen each other prior to pairing them for breeding. With any arranged relationship it is always questionable if the two individuals will hit it off. Each pair was given their own kennel style area with soft matting, a cave top and nesting material (like this). We even played romantic music for them. By romantic music I mean a recording of little blue vocalizations. Then we watched each pair for signs that they are starting to form bonds. We are happy to say that all the pairs hit it off very well right from the start. We have seen a lot of vocalizations, nest building, courtship displays and even mating. We were hopeful that these early signs suggest a successful breeding season. Stay tuned to the blog for updates on our pairs!